I just received my DNA Ancestry DNA collection kit from dna.ancestry.com (a division of Ancestry.com). I ordered my kit online. The process was straight forward and very easy. 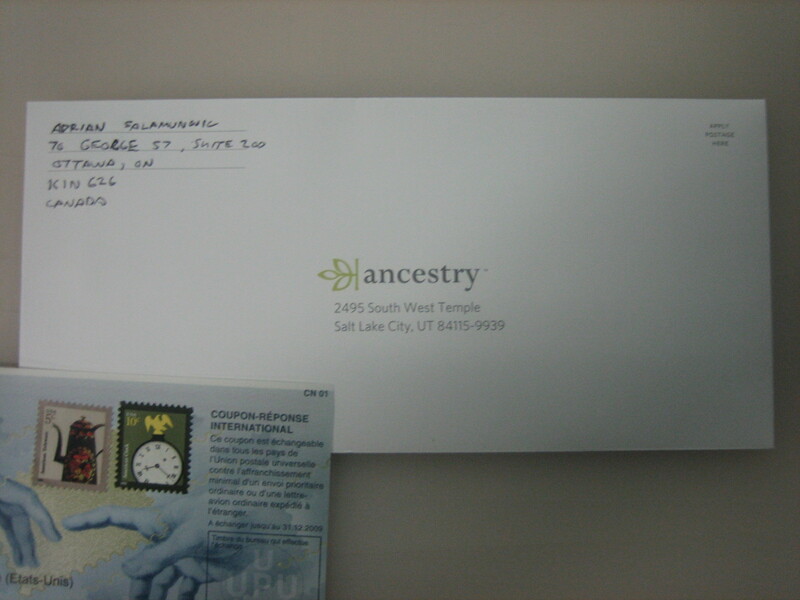 I ordered the “Advanced Paternal Lineage Test (Y-Chromosome 46)” kit for $199.00 USD. Pricing starts as low as $149 for the less precise and indepth Chromosome 33 test. For some reason they recommend the less expensive Chromosome 33 test on the site but I wasn’t totally clear why. In a few weeks I will be receiving my results by e-mail. I am very eager to see how this turns out. I will be posting my results for everyone to see.